Presentation as a prototype itself: opens questions through the material of In the Air, a project which makes visible the components of the air. A prototype is generally object oriented, but it can be applied as well to a methodology. In the Air has been developed mainly through international collaborative workshops, held in Madrid, Budapest and Santiago de Chile. Attended by students and professionals from many different fields, origins and ages, different strategies for production, excitement and participation have been tested. What is the level of adaptiveness of a prototype? Can it be produced by non experts? it is a step in a collective research on how to describe the air, and it is a machine in permanent change. it uses a primitive form (a type? ), a topography as a generic experiential codification, to describe it, and has been afterwards borrowed to describe other actions: flowers, water contamination, etc. There is interaction and feedback from users. Can a map be a prototype? Can a conglomerate of visualizations be a prototype? Prototype as a testing machine. In order to bring information out of the screen into the physical world, several technological devices have been developed. However, they have not been understood as prototypes for a final product, but as testing machines or thinking devices. What is the level of “finishness” of a P? How long does it need to last? Does it have to work? Prototype as a collection, as a process. P is often referred to as a singular and first item. But as everything comes out of a context and is an interpretation of previous elements, a P could be understood in plural, as a collection of tests, as a research process, and whose goal is not the production of an object but the production of knowledge. 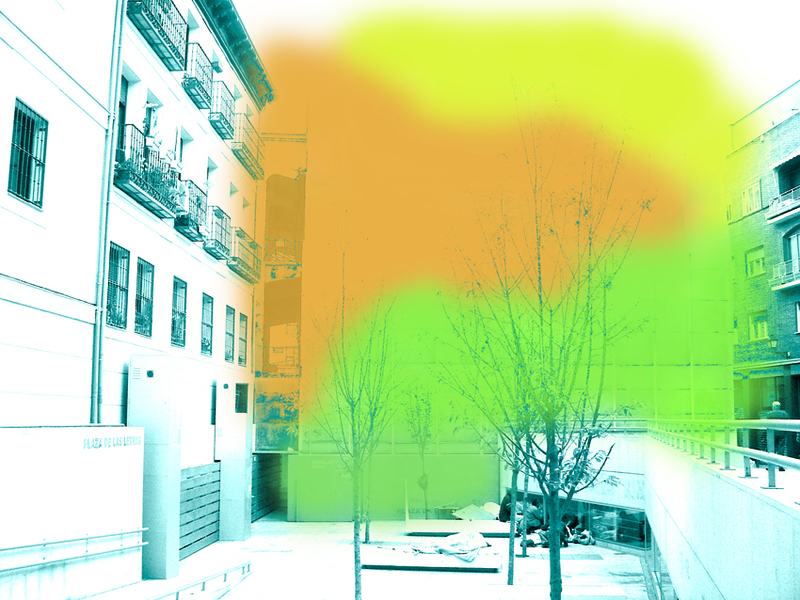 An example would be the prototypes of the “Diffused Facade”, a device that, through water vapor, emits and qualifies the air quality into the public space. What is the prototype? Is it the idea? The drawing? The first model? How is the P evaluated and in which cultural context? What does success and failure mean? Can a prototype be shown in the public space? Can tests be done in the public space? Can something public be a prototype? What is the image of a prototype? What is the image of the finished? What is the aesthetics of the prototype? A line of research in progress is the design of a kit of domestic sensors that citizens could ensemble at home to produce independent data. It becomes necessary to recognize the new type of data that they will produce, and to question it´s level of credibility. Would the system become a large scale collective prototype? Can it be emergent and self organized? A prototype is an original type, form, or instance of something serving as a typical example, basis, or standard for other things of the same category. (Wikipedia). identification of new narratives of the functioning of the city. emergence of political implications of the publication of data, position of stations, etc. If an infrastructure could be described as a system that makes possible or facilitates other things to happen, one could say that these prototypes have an infrastructural side, questioning aspects of durability, efficiency, use, accessibility, etc. Can prototypes be infrastructures? Can Infrastructures be prototypes?